What is the first thing that comes to your mind when I say syringe? Pain? Doctor? Fear? Hospital? Maybe this will help you look at syringes differently. 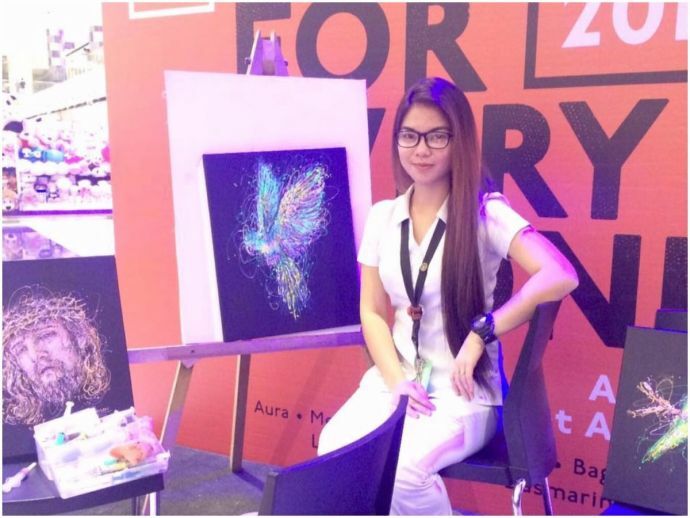 This Facebook user, Kimberly Joy Mallo Magbanua, is gaining popularity online with her unique creations. A nurse by profession, she paints in her free time and in between her shifts. Her paintings are beautiful and it’s impossible to say that they have been made using syringes. On black backgrounds, she succeeds in displaying very lively scenes with great precision. Her paintings seem to have a special dimension that is both natural and exotic, and that is precisely the charm of her work. It shows once again that when the imagination and talent are present, the means are actually irrelevant. “Inject Art” – those words popped up in my mind when I was giving medications to my patients,” she says. "Why don’t I try to fill the syringes up with paints… and do my art?” And so I did," she says. That is how it all started. A random idea that popped in her head while she was giving medication to her patients developed into a beautiful and out of the box hobby. Have a look at some of her amazing creations.